The Competition Commission of Mauritius (CCM) has announced changes to its leniency programme. Though the CCM did have a functioning leniency programme in place since its inception in 2009, the it was often criticised as being inadequate. Competition lawyer John Oxenham notes that under the existing programme, firms which were found to be cartel ‘initiators’ (an enterprise which has coerced others into a collusive agreement) did not qualify to receive any immunity or other benefit. Oxenham believes that this had led to uncertainty and prevented companies from applying for leniency (which required full disclosure of anti-competitive conduct), as firms may be unsure whether or not they would be considered to be ‘instigators’ (and so be disqualified from receiving immunity from prosecution). This meant that firms often had to weigh the risk of being considered an ‘initiator’ against the risk of prosecution to ultimately decide on whether to apply for leniency. The CCM had previously identified this aspect as a potential area of concern, which led to the temporary special amnesty programmes under which firms who believed themselves to be ‘initiators’ could apply for leniency. This, according to the CCM, led to various successful leniency applications and related prosecutions. Corporate leniency policies are widely considered to be the most effective tool in the prosecution of cartel conduct. The CCM’s decision to include ‘initiators’ among those eligible to participate, therefore, not only strengthens its leniency programme but is also a significant step towards the prosecution and enforcement of cartel conduct in Mauritius, as more leniency applications directly imply more prosecutions of fellow cartelists. Oxenham notes that the inclusion of initiators into the CCM’s official corporate leniency policy is welcomed from a business perspective, as it alleviates the concerns prospective leniency applicants may have previously had: “It will certainly lead to an increase in the amount of leniency applications received by the CCM”. According the CCM’s media release, its guideline for leniency applicants will be amended accordingly and an explanatory note will be made available on its website in due course. Mauritius has long been one of those countries which favours restrictions in Public Procurement in order to limit the number of entities which can bid and benefit from Government or Government related tenders. For lack of a better approach, tenderers restrict the number of entities which can bid by automatically asking for significant years of experience and operation and proven track records. This is the historical way in which tenderers consider that they will not end up with non-performing companies winning bids. Unfortunately, this system has led to a reduction in competition and an increase in joint bidding with local and international companies in order to comply with possible criteria which one entity on its own may not have. Enter in 2009, a Competition framework and legislation which provides tools to change, at least for some sectors of the industry, the above mindset in Government, along with tools to sharpen competition between bidders who can use its principles to question authorities and competitors alike. On the public-sector side, any corporation or Government company which ‘engages in commercial activity for gain or reward’ falls within the competition legislation and has to abide by it. What this also means is that if such a Government Corporation or company (or parastatals as they are coined locally) is a monopoly in its market, it is also subject to the restrictions under competition principles which are generally applicable to any monopoly, and prohibited from exclusionary or exploitative conduct. What it boils down to is that a monopolistic Government enterprise issuing tenders and awarding to any winning bidder a resulting contract containing clauses exploiting its monopoly position or excluding competitors could be considered as an abuse of its monopoly position by the Competition Commission. Consider the UK example of London Luton Airport Operations Ltd (Luton Operations). This company conducted a tender to award a concession to operate a coach service between Luton Airport and London. Luton Operation was in a position to award this lucrative concession as Local Government had granted to it previously the enjoyment of this concession. ATS, the losing bidder, brought a competition action alleging abuse of dominance by Luton Operations. The claim was based on alleged unfairness of the tender procedure and terms of the new contract, which included, in short, a seven-year exclusivity over routes of London and a right of first refusal over new routes to London. The duration of the exclusivity was actually increased from 5 to 7 years during post-bid negotiations with the winning bidder National Express in return for a greater share of the revenue. 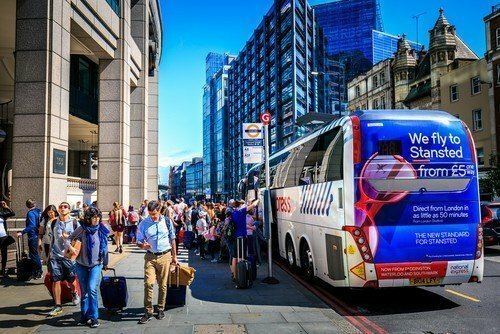 The Court confirmed that the grant of exclusivity for a long period to a single competitor had a distortive effect on the downstream market (for bus services between Luton Airport and London) by preventing any other operator from entering the market. The Court also went further to say that even if there was room for only one operator, a well-run competitive tender should mimic the competitive process by awarding the contract to the operator that offered the best service to consumers rather than the highest fee to the body awarding the concession. The distortion was aggravated due to the extended exclusivity which could not be justified. In conclusion Luton Operations were found to have abused their dominant position, inter alia, in the grant and duration of the exclusivity to National Express and the right of first refusal over new routes. In conclusion, the tools are here. Let us see how far the Mauritius private sector takes the game to the public sector on changing the Public Procurement mindset. Since our June 2017 Edition of the African WRAP, we highlight below the key competition law related topics, cases, regulatory developments and political sentiment across the continent which has taken place across the continent in the past three months. Developments in the following jurisdictions are particularly noteworthy: Botswana, Kenya, Mauritius, Namibia, Tanzania and South Africa. The amendments to the Competition Act will also introduce criminal liability for officers or directors of a company who causes the firm to engage in cartel conduct. The maximum sanctions include a fine capped at P100 000 (approx. US$10 000) and/or a maximum five year prison sentence. Once finalised, the legislative amendments will also introduce a maximum administrative penalty of up to 10% of the merging parties’ turnover for implementing a merger in contravention of the Act. This would include ‘gun-jumping’ or non-compliance with any conditions imposed on the merger approval. Proposed legislative amendments to the Botswana Competition Act will likely result in the Competition Commission’s responsibilities being broadened to include the enforcement of consumer protection laws in addition to antitrust conduct. Furthermore, there is a significant restructuring of the competition agencies on the cards in an effort to ensure that the Competition Authority – which will become the Competition and Consumer Authority (CCA) – is independently governed from the Competition Commission. Currently, the Competition Commission governs the CA but the CA is also the adjudicative body in cases referred to the Commission by the CA. The proposed amendments, therefore, seek to introduce a Consumer and Competition Tribunal to fulfil the adjudicative functions while an independent Consumer and Competition Board will take over the governance responsibilities of the ‘to be formed’ CCA. The Competition Commission has published draft Guidelines on Information Exchanges (Guidelines). The Guidelines provide some indication as to the nature, scope and frequency of information exchanges which the Commission generally views as problematic. The principles set out in the Guidelines are largely based, however, on case precedent and international best practice. The fact that the Commission has sought to publish formal guidelines for information exchanges affirms the importance of ensuring that competitors who attend industry association meetings or similar forums must be acutely aware of the limitations to information exchanges to ensure that they do not fall foul of the per se cartel conduct prohibitions of the Competition Act. The Competition Commission has formally initiated a market inquiry into the data services sector. This inquiry will run parallel with the Independent Communications Authority of South Africa’s market inquiry into the telecommunications sector more broadly. There are also a number of additional objectives such as benchmarking the standard and pricing of data services in South Africa against other countries and assessing the adequacy of the regulatory environment in South Africa. The Competition Commission of Mauritius (CCM) has, for a limited period of four months only, granted amnesty to firms who have engaged in Resale Price Maintenance. The amnesty expires on 7 October 2017. Parties who take advantage of the amnesty will receive immunity from the imposition of a 10% administrative penalty for engaging in RPM in contravention of the Mauritius Competition Act. The amnesty policy followed shortly after the CCM concluded its first successful prosecution in relation to Resale Price Maintenance (RPM), which is precluded in terms of Section 43 of the Mauritius Competition Act 25 of 2007 (Competition Act). The CCM held that Panagora Marketing Company Ltd (Panagora) engaged in prohibited vertical practices by imposing a minimum resale price on its downstream dealers and consequently fined Panagora Rs 29 932 132.00 (US$ 849,138.51) on a ‘per contravention’ basis. In this regard, the CMM held that Panagora had engaged in three separate instances of RPM and accordingly the total penalty paid by Pangora was Rs 3 656 473.00, Rs 22 198 549.00 and 4 007 110.00 respectively for each contravention. The Fair Competition Commission has published revised merger thresholds for the determination of mandatorily notifiable thresholds. The amendments, which were brought into effect by the Fair Competition (Threshold for notification of Merger) (Amendment) Order published on 2 June 2017, increases the threshold for notification of a merger in Tanzania from TZS 800 000 000 (approx.. US$ 355 000) to TZS 3 500 000 000 (approx.. US$ 1 560 000) calculated on the combined ‘world-wide’ turnover or asset value of the merging parties. In June 2017, Kenya’s High Court struck down legislative amendments which regulated the concurrent jurisdiction between the Kenya Communications Authority and the Competition Authority Kenya in respect of anti-competitive conduct in the telecommunications sector. In terms of the Miscellaneous Amendments Act 2015, the Communications Authority was obliged to consult with the Competition Authority and the relevant government Minister in relation to any alleged anti-competitive conduct within the telecommunications sector, prior to imposing a sanction on a market player for engaging in such anti-competitive conduct. The High Court, however, ruled that the Communications Authority is independent and that in terms of the powers bestowed on the Communications Authority by way of the Kenya Communications Act, the Communications Authority may independently make determinations against market participants regarding antic-competitive conduct, particularly in relation to complex matters such as alleged abuse of dominance cases. The Kenyan Competition Tribunal has now been established and the chairperson and three members were sworn in early June. The Tribunal will become the adjudicative body in relation to decisions and/or taken by the Competition Authority of Kenya. The Operational Rules of the Tribunal have not yet been published but are expected to be gazetted soon. The Competition Authority of Kenya (CAK) has finalised its Leniency Policy Guidelines, which provide immunity to whistle-blowers from both criminal and administrative liability. The Guidelines specifically extend leniency to the firm’s directors and employees as well as the firm itself. Only the “first through the door” may qualify for immunity in respect of criminal liability, but second or third responds would be eligible for a 50% and 30% reduction of the administrative penalty respectively, provided that provide the CAK with new material evidence. It should be noted, however, that receiving immunity from criminal prosecution is subject to obtaining consent from the Director of Public Prosecution as well. As per the procedure set out in the Policy Guidelines, the Director pf Public Prosecutions will only be consulted once a leniency applicant has already disclosed its involvement in the cartel and provided the CAK with sufficient evidence to prosecute the other respondents. It is not clear what powers the Director of Public Prosecutions would have, particular in relation to the evidence which has been provided by the leniency applicant, should either the CAK or the Director refuse to grant immunity from criminal prosecution. In a landmark judgment, the Namibian Supreme Court overturned the High Court’s decision in favour of the Namibian Association of Medical Aid Funds (NAMAF) and Medical Aid Funds (the respondents) finding that the respondents did not fall within the definition of an “undertaking” for the purpose of the Namibian Competition. Despite the substantial similarities between the Namibian and the South African Competition Act, Namibia’s highest court took a very different interpretative stance to its South African counter-part and held that because the respondents did not “operate for gain or reward” they could not be prosecuted for allegedly having engaged in collusive behaviour in relation to their ‘tariff setting’ activities in terms of which the respondents collectively determined and published recommended bench-marking tariffs for reimbursement to patients in respect of their medical costs. The Competition Commission of Mauritius has just launched an amnesty program open from 5th June to 5thOctober 2017 for companies which consider they have practices which may amount to resale price maintenance (see here for a recent example of RPM resulting in fines in Mauritius). 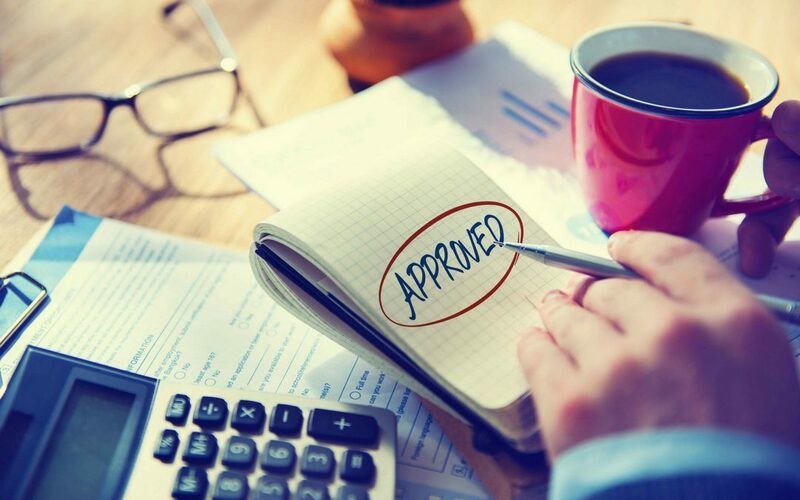 In Mauritius, resale price maintenance (RPM) is a per se prohibition and any agreement which provides for it is void and prohibited to that extent. There is comparatively no justification which is allowed under our law to justify RPM. In RPM cases, the Competition Commission of Mauritius (CCM) can impose financial penalties, for intentional or negligent breaches, which go up to 10% of turnover of offending party, and can extend back for a period of 5 financial years. What does RPM mean and include? The CCM defines RPM as “an agreement between a supplier and a dealer with the object or effect of directly or indirectly establishing a fixed or minimum price or price level to be observed by the dealer when reselling a product or service to his customers.” In short, Suppliers should not require resellers to stick to an agreed price or even to the price printed on the product packaging or to sell above a certain price. This prohibition includes and extends to imposing conditions preventing resellers from discounting or making special offers or, for example, having agreed maximum discounts applicable between supplier and reseller. A supplier informs its resellers that it will affix the resale price of its product on the product label. Neither does the product label mention that the affixed price is a ‘Recommended price” nor do resellers negotiate the resale price with the supplier individually. Dealers purchase the products with the affixed resale price and do not show any resistance to supplier’s pricing policy. A supplier agrees with a reseller to grant the latter a 1.5 % rebate or ‘ristourne’ on the wholesale price provided that the retailer adheres to the recommended minimum resale price. The rebate will be deducted from the amount invoiced to the retailer on a quarterly basis upon proof of implementation of the recommended resale price. When does RPM not apply? A supplier may recommend resale prices to its resellers provided there is no mechanism to entice or make sure that the reseller sticks to the resale prices recommended, and pricing expressly contains the RRP notice. RPM may be permissible within an agency agreement or arrangement, in which one enterprise acts on behalf of another but does not take title of the goods or services. Care should be taken to make sure that the agency infrastructure is not such as made only to bypass the restrictions provided on law. Agreements may set a pricing ceiling preventing resellers from raising prices, are permitted. The risk of any third-party claims against the company for having to admit liability in order to obtain the amnesty. What else the CCM may find from the information required to be disclosed to them – e.g. the company is to make sure its house is in order. Some restraints contain both vertical and horizontal elements, such as a when a supplier also sells to customers directly making it a competitor and a supplier to the reseller. In such cases, assess and consider how the CCM may analyse this and risks for the company. The first half of 2017 has been an exciting one from a competition law perspective for a number of African countries. As certain agencies have taken a more robust approach to enforcement while others have been actively pursuing or developing their own domestic competition law legislation. Further, there is an increasingly prevalent interplay between domestic laws with regional competition law and policy in an effort to harmonise and promote regional integration. In this addition of the WRAP, we highlight some of the key antitrust developments taking place across the continent. The editors at AAT have featured a number of articles which provide further insight and commentary on various topics and our readers are encouraged to visit the AAT Blog for further materials and useful updates. On 27 January 2017, the Competition Authority of Kenya (CAK) exercised its powers in terms of section 18 (1) (a) of the Competition Act, 2010, to conduct a market inquiry into the branded retail sector. The Kenya Competition Act (Act) has undergone a number of amendments in the past year. Most notably, however, section 24 of the Act, which deals with abuse of dominance generally, has been amended to also cater for an abuse of “buyer power”. In terms of the definition of “dominance” in the Act, a firm will be considered dominant if that firm has greater than a 50% market share. The amendment, as drafted, raises a number of concerns as previously noted on AAT. On 17 February 2017, the Competition Authority of Botswana (CA) prohibited a merger between Universal House (Pty) Ltd and Mmegi Investment Holdings (Pty) Ltd. The CA prohibited the merger on the grounds that the transaction was likely to lead to a substantial prevention or lessening of competition in the market. In particular, the CA held that the “market structure in the provision of commercial radio broadcasting services will be altered, and as such raises competition and public interest concerns”. At the stage of ordering the divestiture, a suitable third party had not yet been identified and the merging parties were obliged to sell the 28.73 shares to a third party “with no business interests affiliated in any way with the acquiring entity”. The divestiture was also to take place within three months of the CA’s decisions and, should the thresholds be met for a mandatorily notifiable merger, the CA would require that the proposed divestiture also be notified. A second civil damages award was imposed in 2017 on South Africa’s national airline carrier, SAA, following the Competition Tribunal’s finding that SAA had engaged in abuse of dominance practices, in favour of Comair. This award comes after the first ever successful follow-on civil damages claim in South Africa (as a result of competition law violation) which related to Nationwide’s civil claim against SAA. In the Nationwide matter, the High Court awarded, (in August 2016) damages to Nationwide in the amount of R325 million. Comair claim for damages was based on the same cause of action as Nationwide’s claim. The High Court, however, awarded damages in favour of Comair of R554 million plus interest bring the total award to over a R1 billion (or about US$ 80 million). Please see AAT’s featured article here for further insights into this case. The SACC published a notice in the Government Gazette on 10 May 2017, indicating that it will conduct a market inquiry into the Public Passenger Transport sector (PPT Inquiry) which is scheduled to commence in June 2017. The PPT inquiry, is expected to span two years and will involve public hearings, surveys and meetings with stakeholders which will cover all forms of (land-based) public passenger transport. The SACC indicated in its report that “…it has reason to believe that there are features or a combination of features in the industry that may prevent, distort or restrict competition, and / or to achieve the purpose of the Competition Act”. The South African Competition Commission (SACC) recently published draft guidelines for determining the administrative penalty applicable for prior implementing a merger in contravention of the South African Competition Acts’ merger control provisions (the Draft Guidelines). In terms of the penalty calculations, the Draft Guidelines prescribe a minimum administrative penalty of R5 million (USD 384 615) for the prior implementation of an intermediate merger and a R20 million (USD 1.5 million) penalty for implementing a large merger prior to being granted approval. The Draft Guidelines cater further for a number of aggravating or mitigating factors which may influence the quantum of the penalty ultimately imposed. The Egyptian Competition Authority (ECA), has also referred the heads of the Confederation of African Football (CAF) to the Egyptian Economic Court for competition-law violations relating to certain exclusive marketing & broadcasting rights. This follows the COMESA Competition Commission also electing to investigate this conduct. In addition, it has been reported that the ECA has initiated prosecution of seven companies engaged in alleged government-contract bid rigging in the medical supply field, relating to hospital supplies. In a landmark judgment, the Competition Commission of Mauritius (CCM) recently concluded its first successful prosecution in relation to Resale Price Maintenance (RPM), which is precluded in terms of Section 43 of the Mauritius Competition Act 25 of 2007 (Competition Act). The CCM held that Panagora Marketing Company Ltd (Panagora) engaged in prohibited vertical practices by imposing a minimum resale price on its downstream dealers and consequently fined Panagora Rs 29 932 132.00 (US$ 849,138.51) on a ‘per contravention’ basis. In this regard, the CMM held that Panagora had engaged in three separate instances of RPM and accordingly the total penalty paid by Pangora was Rs 3 656 473.00, Rs 22 198 549.00 and Rs4 007 110.00 respectively for each contravention. Please see AAT’s featured article here for further information. The global trend in competition law towards granting immunity to cartel whistleblowers has now been embraced by the Competition Commission of Mauritius (CCM). The CCM will also grant temporary immunity (during the half-year period from March 1 until the end of August 2017) not only to repentant participants but also to lead initiators of cartels, under the country’s Leniency Programme. The COMESA Competition Commission (CCC) announced early 2017 that it will be investigating allegations of exclusionary conduct in relation to the Confederate of African Football’s (CAF) decision to extend an exclusive marketing of broadcasting rights and sponsorship agreement with Lagardère Sports in relation CAF tournaments. Please see AAT’s featured article here for more information. The Competition and Consumer Protection Commission (CCPC) published series of guidelines and policies during 2016. These included adopting a formal Leniency Policy as well as guidelines for calculating administrative penalties. In addition, the CCPC also published draft “Settlement Guidelines” which provides a formal framework for parties seeking to engage the CCPV for purposes of reaching a settlement. The Settlement Guidelines present a number of practical challenges as currently drafted. One example is that the guidelines don’t cater or seem to recognise “without prejudice” settlement negotiations. It is anticipated that the draft Settlement Guidelines will be formally adopted this year. Please click here to read the feature article on AAT. In April 2017, the CEO of the Namibian Competition Commission (NCC), Mr. Mihe Gaomab II, announced that the NCC has made submissions to the Minister of Trade and Industry in relation to proposed legislation which will regulate franchise models in Namibia. While recognising the benefits of franchise models, the NCC is, however, concerned that there are a number of franchises in Namibia which may be anti-competitive in that the franchisor-franchisee relationship creates certain barriers to entry. The NCC has specifically identified the practice, by way of an example, whereby certain franchisors deliberately ensure that there is a lack of competition between franchisees in the downstream market. The rationale behind this commercial strategy is allegedly so that the franchisor may extract greater royalties or franchise fees from the respective franchisees, as the franchisee is assured of a lack of competition. The NCC views this practice as well as a various similar practices as potentially anti-competitive as the structure of certain franchise models may result in collusion between franchisees. For further commentary on this development, please see AAT’s featured article. Nigeria remains, for now, one of the few powerhouse African economies without any antitrust legislation. The Federal Competition and Consumer Protection Bill of 2016, however, recently made it past the initial hurdle of receiving sufficient votes in the lower House of Representatives. The Bill is, therefore, expected to be brought into effect during the latter part of 2017 or early 2018. The Minister of the Department of Economic Development, who has fulfills the oversight function of the South African Competition Authorities, has announced that a market inquiry will be conducted in relation to the “high costs of Data” in South Africa. This would be the fifth formal market inquiry since the Competition Act was amended to afford the Competition Commission with formal powers to conduct market inquiries. Both Minister Patel and the President have announced that the Competition Act will undergo further legislative amendments in order to address perceived high levels of concentration in certain industries. In this regard, it is likely that the competition amendment act’s provisions relating to abuse of dominance and complex monopolies, which was drafted in 2009, will be brought into effect. Please see AAT’s feature article here for further commentary. As AAT reported in late February, it is not only the COMESA Competition Commission (CCC), but also the the Egyptian antitrust authorities, which now have referred the heads of the Confederation of African Football (CAF) to the Egyptian Economic Court for competition-law violations relating to certain exclusive marketing & broadcasting rights. In addition, it has been reported that the Egyptian Competition Authority (ECA) has also initiated prosecution of seven companies engaged in alleged government-contract bid rigging in the medical supply field, relating to hospital supplies. Nigeria remains, for now, one of the few powerhouse African economies without any antitrust legislation (as AAT has reported on here, here, here and here). The global trend in competition law towards granting immunity to cartel whistleblowers has now been embraced by the Competition Commission of Mauritius (CCM), but with a twist: in a departure from U.S. and EU models, which usually do not afford amnesty to the lead perpetrators of hard-core antitrust violations, the CCM will also grant temporary immunity (during the half-year period from March 1 until the end of August 2017) not only to repentant participants but also to lead initiators of cartels, under the country’s Leniency Programme. This means that within 6 months of accession to the Common Market, Tunisia’s business community will be bound by the competition regulations (including merger control) enforced by the CCC. Speaking of the CCC, the agency also recently entered into a Memorandum of Understanding with the Mauritian CCM on March 24, facilitating inter-agency coordination. In addition, the Zimbabwean Competition and Tariff Commission (CTC) will host a national sensitisation workshop on COMESA competition policy on May 16, 2017 in Harare, purportedly as a result of “over 50 transactions involving cross-border mergers notified” to the CCC involving the Zimbabwean market. “The main objective of the national workshop is to raise awareness among the key stakeholders and business community in Zimbabwe with regards to the provisions and implementation of COMEA competition law,” the CTC noted in a statement. The judgment is important as it not only demonstrates the CCM’s increasing enforcement efforts and risk of non-compliance with the Competition Act (this decisions follows on CCM’s recent findings against firms for engaging in abuse of dominance conduct) but has created a particularly strict threshold on firms in relation to what constitutes price maintenance in terms of Mauritius competition law. RPM is a prohibited vertical practice, in which suppliers restrict or prescribe the manner in which customers resell the relevant products or services. Minimum resale price maintenance is prohibited in most jurisdictions. Whether the contravention is a “per se’ contravention (i.e. that there is no rule of reason defence available to a respondent) or whether proving an anti-competitive effect is a necessary requirement to prove a contravention is generally the key difference in the manner in which competition agencies enforce RPM. In relation to Panagora, the company was found to have contravened the Competition Act as a result of having affixed the resale price on two of its ‘Chantecler’ branded chicken products (chilled and frozen), without affixing the words ‘recommended price’ next to the stated price. In addition, Panagora engaged in promotional sales to dealers utilising a ‘deal sheet’ which contained the following clause “Le fournisseur se reserve le droit d’annuler le tariff promotionnel au cas ou certains produits sont vendus en dessous du prix normal” (the supplier reserves the right to cancel the promotional price in the event that certain products are sold below the normal price). Importantly, in reaching its determination, the Executive Director held that although foreign case law, particularly Australian, UK and EU legal precedent serves as a useful guideline. The Mauritius Competition Act (in so far as it relates to RPM), differs vastly from its international counter-parts. In this regard, the Competition Act merely requires evidence supporting the contention that there was an object or effect of directly or indirectly establishing a fixed or minimum price or price level to prove a contravention. The Mauritius Competition Act does not require that the conduct in any way prevented, restricted or distorted competition in the market. The legal precedent created by the CMM’s ruling provides much needed clarity as to how the CMM will evaluate resale price maintenance cases and firms need to be particularly cautious in relation to the terms of engagement with customers who on-sell their products. Numerous in personnel, yet still displaying a dearth of actual case-law development even in merely the one area in which the COMESA Competition Commission has been active — mergers — the agency recently appointed two new (indeed, additional, as the number grew from 9 to 11) Commissioners for the standard term of three years. Competition practitioner John Oxenham, a director at Africa consultancy Pr1merio, identified them as Trudon Nzembela Kalala from the Democratic Republic of the Congo, and Kowlessur Deshmuk, Executive Director of the Competition Commission of Mauritius. Oxenham notes that neither country enjoyed representation between the April announcement of 4 new commissioners and December 8 (see also April 15 AAT story on the agency’s prior appointments). Julie Tirtiaux writes about an investigation by the CCM into allegedly discriminatory mobile pricing policies by the two main mobile operators in the island nation of about 1.2 million. On 27 August 2015, the Competition Commission of Mauritius (“CCM”) announced an investigation against two major mobile operators, Emtel and Orange. The CCM has identified similar concerns to those examined in other jurisdictions such as France and South Africa, related to the exclusionary effects of discriminatory pricing policy for calling services. The CCM is concerned that the two major mobile telephony operators may be discriminating between tariffs for calls made between subscribers within the same network (“on-net calls”) and calls to subscribers from other competing networks (“off-net calls”). This raises the question as to why off-net calls are charged at higher rates when compared to on-net calls. The table below sets out the respective call tariffs charged by Emtel, one of the respondents in the current CCM investigation. The CCM suspects that the higher prices for off-net calls may not be objectively justified by cost differentials. This potential discrimination could thus be “preventing, restricting or distorting competition in the local mobile telephony sector, which ultimately could deter or slow investment, innovation and growth in the sector”. It is argued that such conduct raises a strategic barrier for new and small mobile operators to enter and expand within the mobile market, as rational consumers would likely be inclined to choose the operator which already has a large user base. In other words, this allegedly discriminatory pricing policy for calling services could lead to exclusionary conduct by the duopoly of Emtel and Orange and consequently to the infringement of Section 46(2) of the Mauritius Competition Act of 2007. However, such an infringement will have to be proved by the CCM, as the presence of on-net/off-net price differentiation does not automatically raise competition concerns in and of itself. It has been argued that the existence of two equally large competitors is enough to observe a competitive outcome and thus the maximization of and consumer welfare. Put differently, it is not the number of players in a market which determines the competitive outcome but rather the intensity of competition between the existing players. 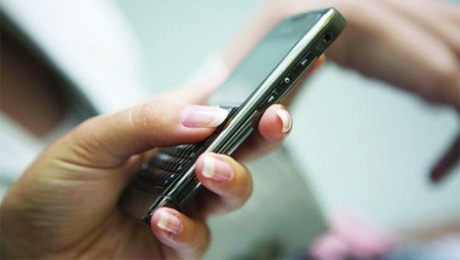 In December 2012, the Autorité de la concurrence fined the three main French mobile operators, i.e. France Télécom, Orange France and SFR a total of €183.1 million for supplying their subscribers with unlimited on-net offerings. According to the Autorité de la concurrence, “these offerings first of all artificially accentuated the “club” effect, that is, the propensity for close relatives to regroup under the same operator, by encouraging consumers to switch operators and join that of their relatives (…). Once the clubs were formed, these offerings “locked” consumers in durably with their operator by significantly raising the exit costs incurred by the subscribers of on net unlimited offerings as well as by their relatives who wish to subscribe to a new offering with a competing operator”. In addition, these offerings automatically favoured large operators over small operators (“network effect”). In other words, these offerings induced users to subscribe to the dominant incumbents at the expense of smaller independent operators who would undoubtedly have been faced with higher cost structures directly related to the higher off-net calls rates. Unlike the Mauritian telecom market which allows operators to freely set their prices, South Africa regulates call termination rates, which correspond to fees that mobile operators charge each other to carry calls between their networks, via the Independent Communications Authority of South Africa (“ICASA”). ICASA justified new regulations by saying that the rates had driven up the cost to communicate for consumers, making South Africa one of the most expensive places to use a mobile phone. On 29 September 2014, ICASA modified the asymmetric rates, first introduced in February 2014, in order to ensure a level playing field between the mobile operators. The intended effect of these asymmetric rates is to ensure low off-net call rates for operators with low market power. In conclusion, the efficient functioning of the crucial mobile sector is a delicate task for both regulating bodies and enforcement agencies. It will thus be interesting to see how this investigation progresses and what learnings the CCM is able to draw through the assessment of the on-net/off-net price differentiation by the two main mobile operators in Mauritius. See the media release of the CCM of 27 August 2015 opening of investigation on monopoly situation in relation to mobile telephony sector. Section 46(2) of the Mauritius Competition Act prohibits a monopoly situation held by one or several firms which “(a) has the object or effect of preventing, restricting or distorting competition; or (b) in any other way constitutes exploitation of the monopoly situation”. Frontier Economics “On-net/off-net differentials the potential for large networks to use on-net/off-net differentials or high M2M call, termination charges as a means of foreclosure” March 2004. That is to say the French Competition Authority. Decision of the Autorité de la concurrence of 13 December 2012, France Télécom, Orange France and SFR, case no 12-D-24. This decision has been appealed and is currently pending before the Paris Court of Appeal. The asymmetric rates adopted by INCASA in February 2014 were declared unlawful and invalid by the High Court on 31 March 2014 as they were objectively irrational and unreasonable. It must be noted that these new asymmetric rates have been challenged and that the case is still pending. See the following article on ENSafrica: https://www.ensafrica.com/news/the-reformulation-of-call-termination-rates-in-South-Africa?Id=1414&STitle=TMT%20ENSight. This complaint is still being investigated by the Competition Commission.